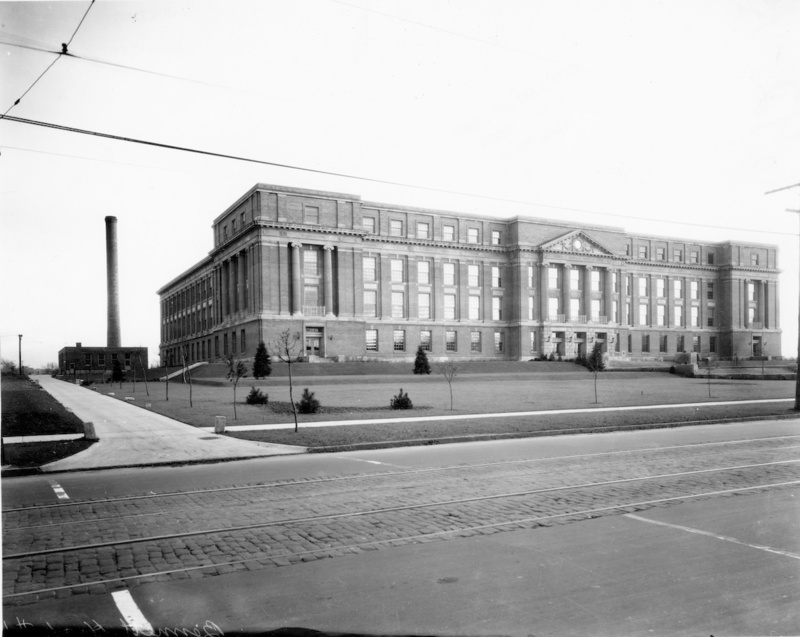 Bennett High School, 2837 Main Street, was completed in 1925 and designed in a Georgian Revival style by the Associated Buffalo Architects. Bennett High is a storied Buffalo institution with graduates ranging from Beverly Ann Johnson, the first African American model to appear on the cover of Vogue in August 1974; to Rick James, funk superstar; and Sorrell Booke, the actor best known for playing “Boss” Hogg in the television show The Dukes of Hazzard. Architectural historian Frank Kowsky stated of Bennett High School, “There is no more eloquent architectural statement of the dignity of education anywhere in town.” The clock in the pediment was broken for years, was recently restored by the Buffalo Public Schools, and is now back in working order.